In the United Kingdom, it’s believed that around 8 out of every 10 new businesses fail within the first 18 months. That’s 80%, a pretty huge proportion. But why? There has to be a good reason for this figure, and there is. In fact, we’ve got 5 of them here so you don’t make the same mistakes as those unfortunate 80%. In the beginning of every business, personal relationships are important. However, this doesn’t mean you should be happy to accept a handshake or a person’s “word” in lieu of a written contract. Accepting relaxed agreements and arrangements is a mistake most entrepreneurs make, and could be the end of your business if you’re not careful. Insisting on a written contract with suppliers, landlords, and other associates may feel pushy to you in the beginning, but if they’re experienced business people they’ll understand your need for security and respect your insistence on it. There is an idea that you, as the business owner, should know more about all facets of your business than anyone else. You may feel like in order to “be the boss” you need to also be the authority on finance, marketing, production and sales. However, very few people have sufficient skills across all of these areas when they’re starting out. The best strategy in this regard is to hire people who have much more experience than you for each role, so that they can bring something to the business that you can’t, and that you can learn from them as you and your business grow. You’ve almost certainly heard the term “micro-managing” before but if you haven’t, a micro-manager is someone who insists on being involved in every single decision made within the business, no matter how minute, and doesn’t trust his or her staff to do their role well without constant supervision and interference. Nobody likes working for a micromanager. If you manage your staff this way, it shouldn’t surprise you if you’re very quickly left with no staff at all. In addition to the risk of driving your team away or less tense pastures, micromanaging will burn you out and sap your energy and enthusiasm for the business itself. Every new entrepreneur starts their business with quite a clear idea of how things are going to go. They know what they want to do, how they want to do it, and when it will happen. They have a vision that’s central to their entire business, and a sense of dogged determination to see that vision through. However, things don’t always go to plan. This is especially true where start-ups are concerned. And if you’re not willing to be flexible enough to change your plans as your business progresses, you could very well see your dreams dashed as your business and your plans go under. 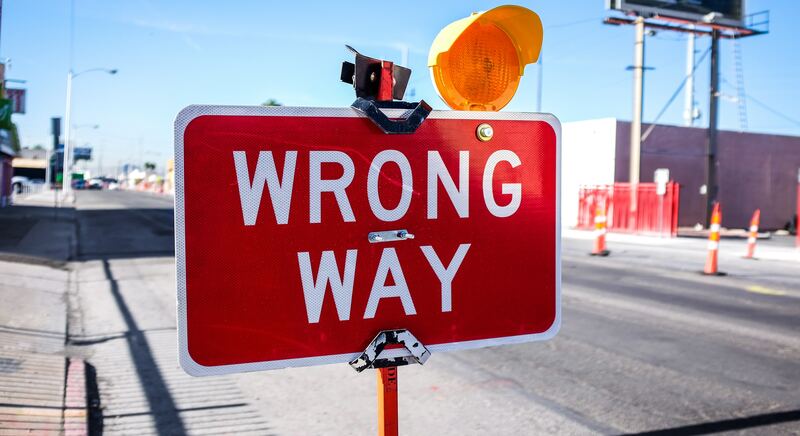 These four mistakes are some of the most common reasons why new businesses fail. By taking note of these and making a conscious effort to avoid them, hopefully you will find yourself in the 20% of entrepreneurs whose businesses pass the test of time!